Discover the best way to apply products to hair before beginning your blowout for more volume and professional results. 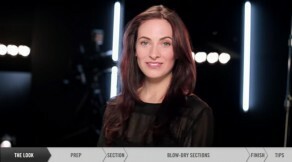 Watch this DIY instructional video to learn how to create a perfect at-home blowout. Discover the best tips, tricks and advice on how to make a simple, chic and stylish hairstyle.